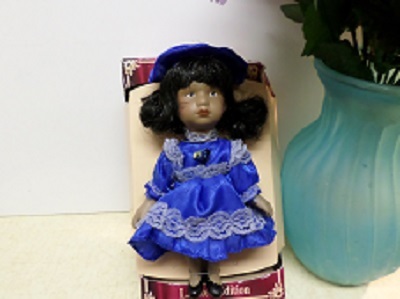 Please check out our super selection of collectible dolls. Very limited quantities available. Once Gone, Gone!!! 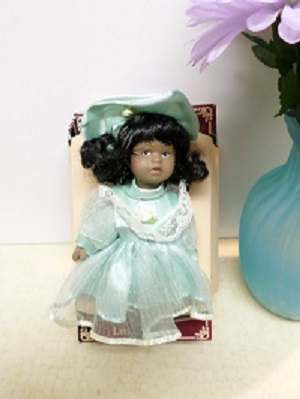 GORGEOUS AFRICAN AMERICAN GENUINE PORCELAIN COLLECTIBLE DOLL. LIMITED EDITION. 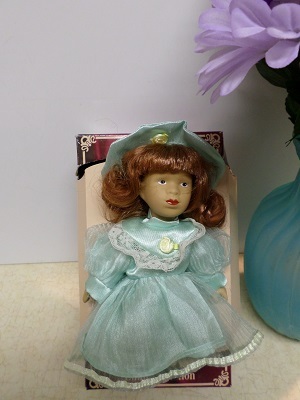 6 INCH HAND PAINTED FINE BISQUE PORCELAIN DOLL. 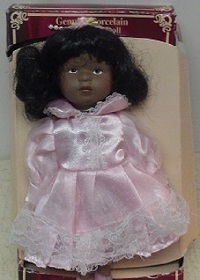 DOLL IS IN GREAT CONDITION. WITH A FLOWER ON FRONT. SHE HAS PAINTED BLACK SHOES AND HAS BEAUTIFUL REDISH COLOR HAIR.